Nothing brings out flavor and aroma of a pepper like roasting it. 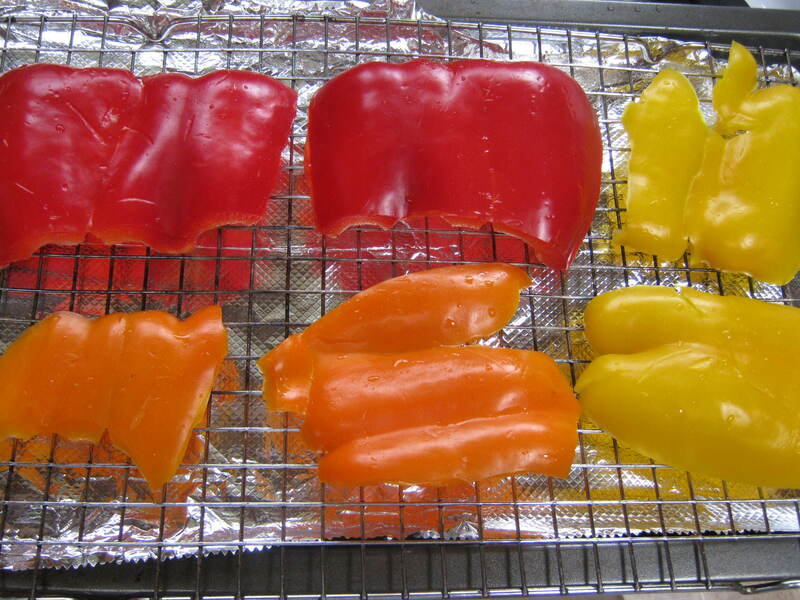 Here are a couple tips to make it easier to roast bell peppers in the oven and then peel them. 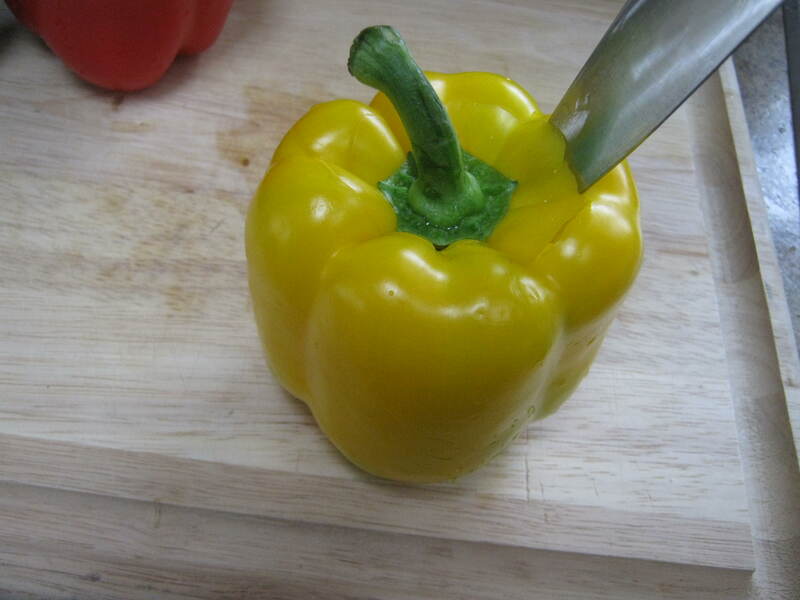 First, cut around the stem of the pepper and pull it out. 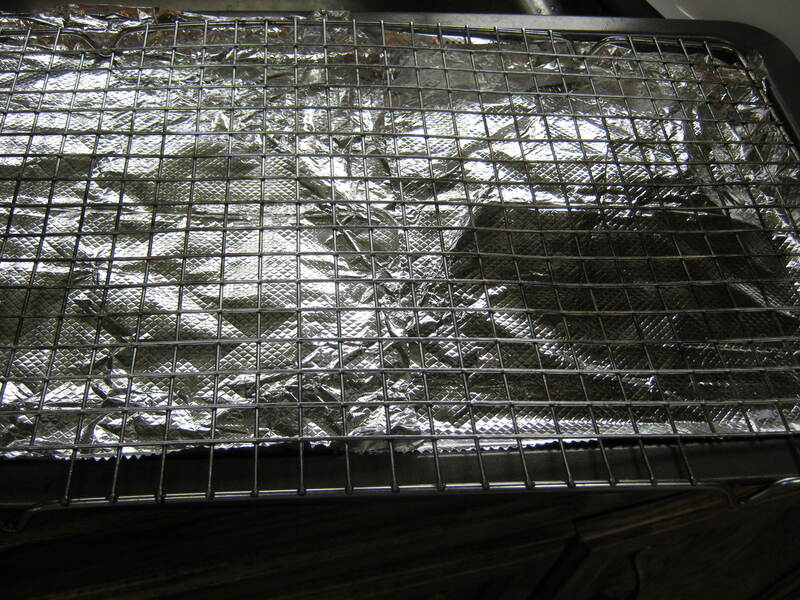 Place a wire rack over a foil-lined baking sheet. Place the peppers, skin side up, on the rack. 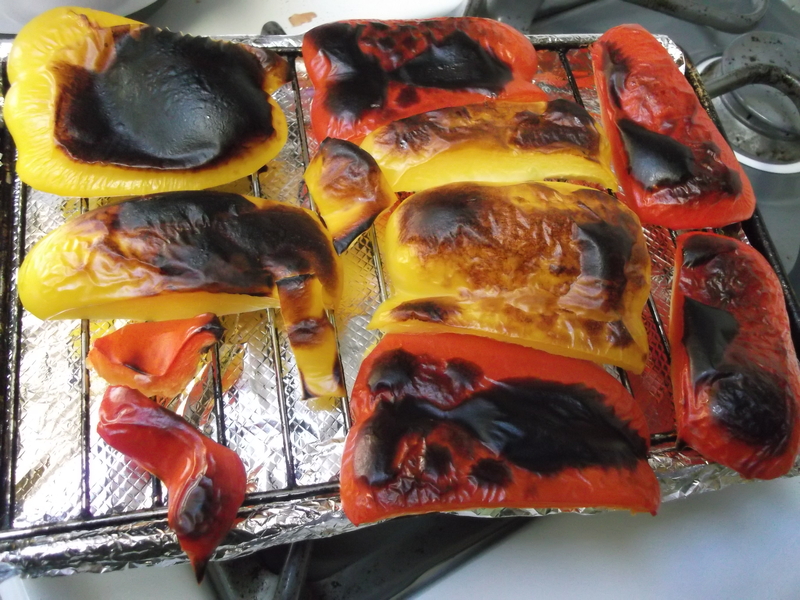 Place the peppers directly under the broiler in the oven. 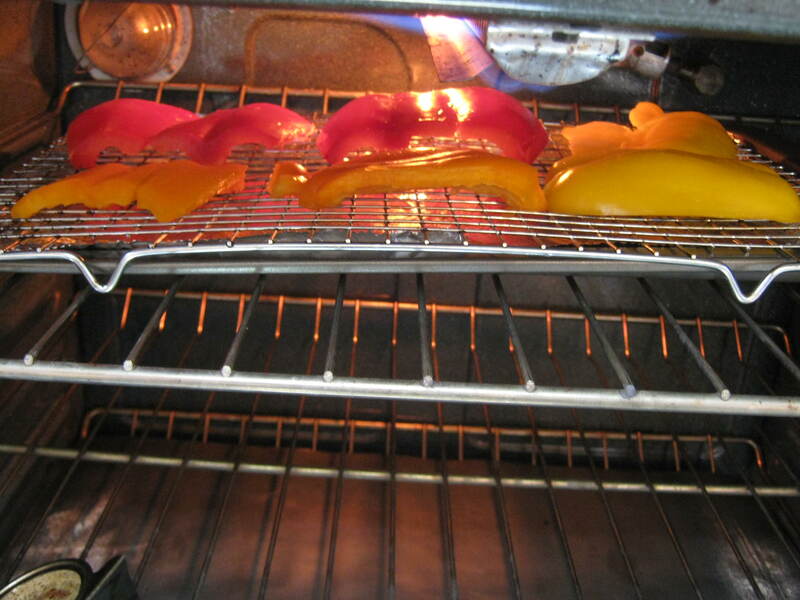 Roast them, moving the tray as needed to expose all skins evenly to the flame, so the skins blacken evenly. There will be a lot of hissing and popping as they roast, and the kitchen will start to smell really good! When most of the skins are blackened, remove from oven. Notice the scorched drippings on the foil. Just ball that foil up and throw it out – super easy cleanup! 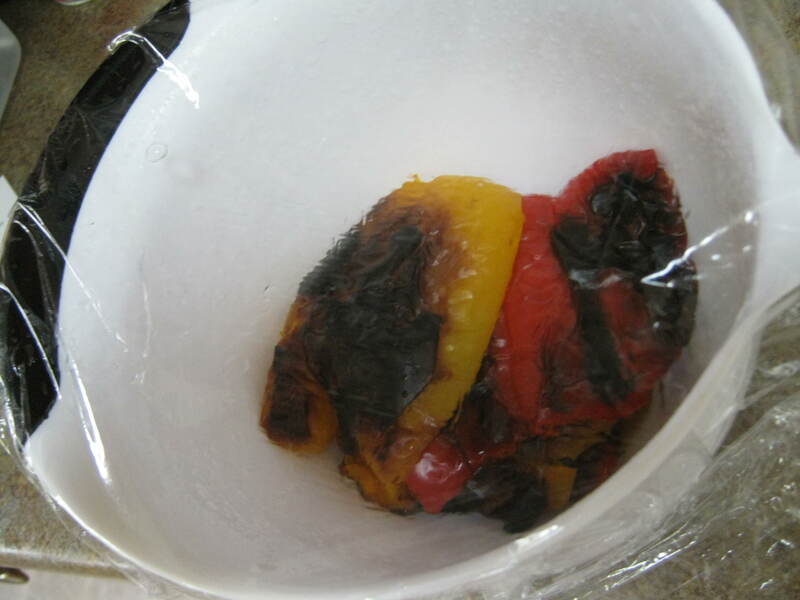 Place the peppers in a small bowl and cover the bowl with plastic wrap. 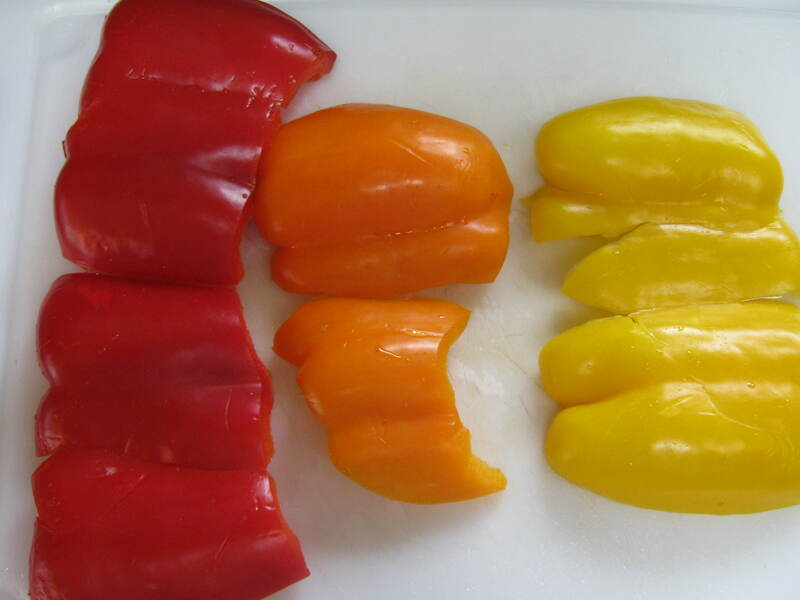 The heat from the peppers will be trapped inside, which will steam the peppers to make them easier to peel. 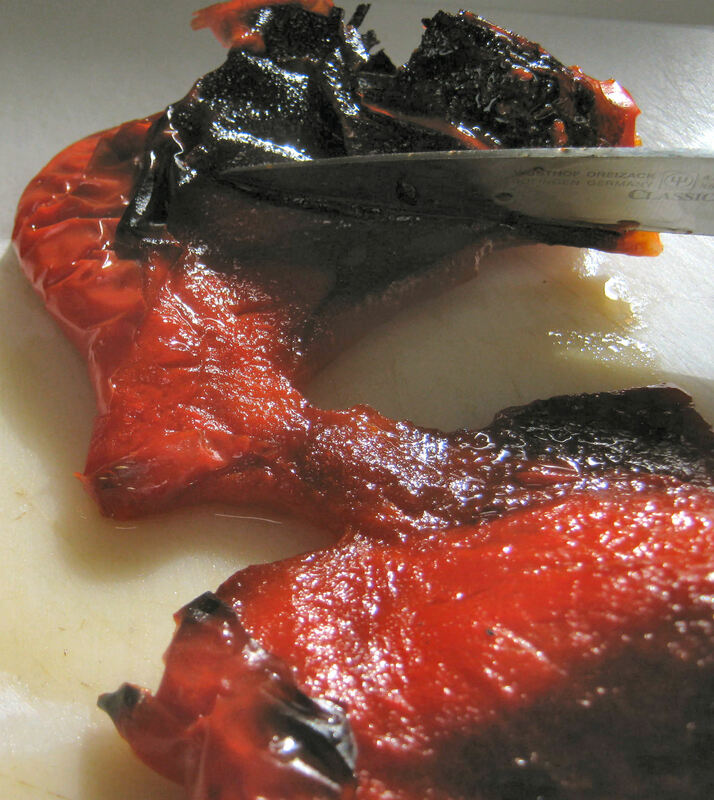 After 15-20 minutes, remove the peppers from the bowl and place skin-side up on a cutting board. Gently scrape away the blackened skin with the side of a knife. 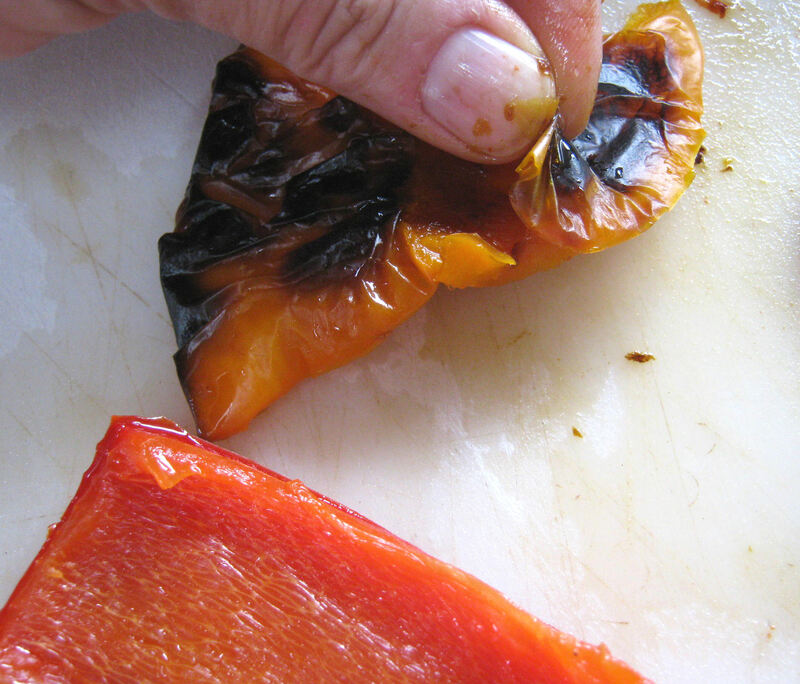 If the skins are pretty loose and the peppers aren’t too hot, you can also use your fingers to pinch and gently pull off the skins. 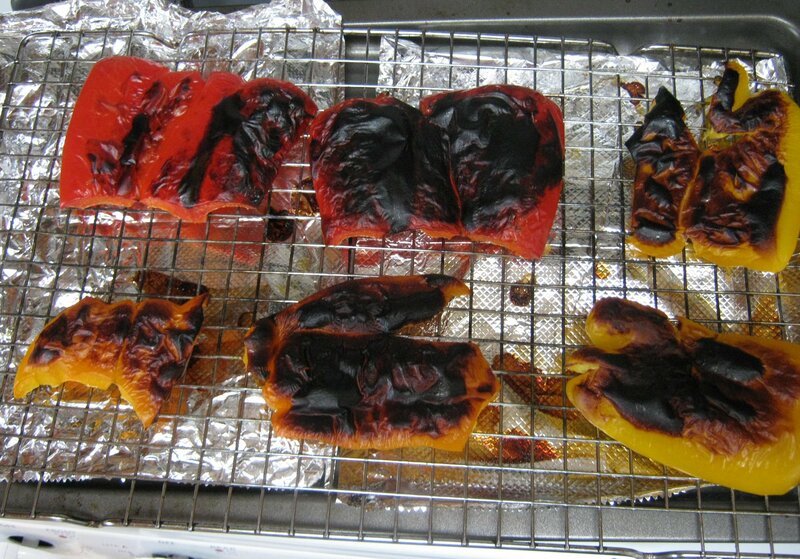 Small bits of the charred skin might stick to the peppers, but don’t rinse that off: that’s nothing but great flavor. Enjoy!